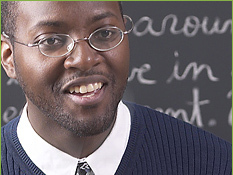 At Graham Consulting Group, we provide tutoring services in all subjects,starting from Pre-K to adult education. This spectrum of education services allows us to help our clients through all the formative stages of education and extends through an lifetime of learning. Reading Program- Our Reading Program focuses on the skill areas of phonics, sight vocabulary, functional vocabulary, comprehension, and oral reading. Our tutors employ a wide variety of lessons and formats in order to provide reading help and cater to the individual learning style of each student. Phonics - Phonics skills are the cornerstone of reading, enabling students to accurately sound out words they have not already memorized. At Graham Consulting Group, children will learn phonics skills such as letter recognition, letter formation, consonant sounds, short vowels, blends and digraphs, long vowels, R & L modified vowels, variant and irregular vowels, compound words, syllabication, and roots and affixes. Through practice and mastery of these reading skills, students will attain the reading help they need to move ahead with more complex materials. Sight Vocabulary - Sight words, or words that children should instantly recognize by the end of 3rd grade, are taught. This reading skill aids in accuracy and fluency in both silent and oral reading. Functional Vocabulary – Through our program students gain the ability to recognize the meanings of words by learning reading skills related to the use of synonyms, antonyms, affixes, multi-meaning words, and appropriate word choices in the context of phrases, sentences, and paragraphs. Comprehension - To help students learn how to derive meaning from what they are reading, Tutors at Graham Consulting Group focus on four specific skill areas: information, generalization, organization and inference. These four reading skills, when learned together, will dramatically raise your child's comprehension of written school materials. Oral Reading - Students are asked to read orally on a regular basis. Through repetition and practice, Graham Consulting Group tutors provide reading help which solidifies accuracy, fluency and self-confidence in reading skills. Learning Disabilities - Learning problems vary from one LD child to another, but Graham Consulting Group has tutors who specialize in learning disabilities and can provide strategies and tips that meet your child\'s unique needs. Children with learning disabilities have trouble keeping up academically with peers their own age. Their disabilities may be attributed to a number of causes including dyslexia, mental retardation, autism, or Attention Deficit Disorder (ADD), among others. Children diagnosed with these disabilities can be taught ways to overcome their handicaps, especially when given highly personalized instruction tailored specifically to the needs of that child. It is our experience that students with learning disabilities achieve greater benefits when tutoring is performed in the child’s home. This is particularly important for learning disabled students who do not cope well in crowded, often chaotic surroundings such as their classroom or group therapy. Individualized home tutoring in a controlled environment helps restore confidence in a learning disabled student and enables them to more efficiently reach their full potential. Attention Deficit Disorder (ADD) and Attention Deficit Hyperactivity Disorder (ADHD) These are the most common behavior disorders diagnosed in children and teens. Symptoms are inattention, inability to consistently focus, remember, and organize, impulsiveness, and hyperactivity. The cause is not known, although chemical balances in the brain affect temperament and behavior. The condition runs in families. ADD and ADHD is usually diagnosed when a child is 6 to 12 years of age. Although there is no cure, treatment can help control symptoms, including medications, socialization training and behavior management. Dyslexia, (also known as Developmental Reading Disorder) Dyslexic children can have problems in any of the tasks involved in reading, and a significant number of people with dyslexia share an inability to understand and separate the sounds in spoken words. Tutors provided through Graham Consulting Group have techniques that can help many children with dyslexia acquire these skills. Autism is a developmental disorder that interferes with the ability to communicate with and relate to others. Autism affects how a person perceives and processes sensory information. At Graham Consulting Group tutors work one-on-one with both the student and the parent to ensure that all the needs of the client are met. Mathematics. Graham Consulting Group offers proven tutoring programs in math, ranging from basic math help to Pre-algebra, Algebra, Geometry, Trigonometry, Pre-Calculus, Calculus and Statistics. In each of these tutoring programs, the lessons are administered using a variety of proven teaching methods. These include paper and pencil activities as well as the incorporation of manipulatives to provide hands-on activity to aid in learning abstract concepts. Each of our math programs provides our clients with the math help they need to succeed. Basic Math Facts - Students learn and master basic single digit operations in addition, subtraction, multiplication and division. Our tutors provide the math help your child needs to develop accuracy and speed which translates into confidence and success as he or she progresses. These basic math skills provide the foundation for math comprehension that will lead to success as the student moves on to more complex math operations. Computation - Core computation skills are learned in the areas of whole number operations, fractions, decimals, and at some levels, integers, percentages, and pre-algebraic expressions. With math help in these areas, your child is prepared to advance to the next levels quickly and successfully. Concepts & Applications - This element of the program deals with concept formation, reasoning, and problem solving. The specific math skills areas learned include: numeration, fraction concepts, decimal concepts, estimating, basic measurement concepts, geometry measurement concepts, problem solving, exponents, graphics, probability and statistics, and ratios. Pre-algebra Program-This program bridges the gap from basic math help to algebra by offering students algebra-readiness skills. Students will learn how to read, write, and understand the unique language of mathematics so they will be prepared for every type of problem-solving and assessment situation. The Pre-algebra Program affords students the opportunity to spend the necessary time on these important skills areas to ensure success in algebra. Some of the pre-algebra skills taught in this program include: integers, equations, factors and fractions, rational numbers, ratio, percent and proportion, equations and inequalities, functions and graphing, right triangles, two-dimensional figures, three-dimensional figures, statistics and probability, polynomials and nonlinear functions, variables, and exponents and powers. Algebra Program-At Graham Consulting Group our tutors teach the math skills and concepts students need to succeed in high school and beyond. Once students have completed and mastered basic math skills and have a solid understanding of pre-algebra concepts, they can move on to algebra help. Students will learn, practice, and master the computational algebra skills necessary for successfully applying logical thinking and practicality in school-related algebra courses. The algebra skills and strategies taught in the Algebra Program include: the language of algebra, real numbers, linear equations, linear inequalities, polynomials, factoring, quadratic functions, exponential functions, rational equations, radical expressions, statistics, and probability. Our tutors provide the algebra help needed for mastery of advanced math skills. Science. Graham Consulting Group tutors will assist students who are struggling in science by making learning fun and interesting enough to stimulate the child\'s desire to learn. Our tutors cover all areas of science from basic science to more advanced chemistry, biology, physics and anatomy. Graham Consulting Group tutors will determine if good organizational habits are in place and provide specialized, one-on-one guidance. Teaching good study skills will help establish good practices throughout a child's formal education. Parents will find it amazing how quickly their children will bounce back academically once they've established proper study skills. Graham Consulting Group tutors will teach tips and strategies that will help children better comprehend and retain their lessons. To find out more information about the Graham Consulting Group Study Skills program, please contact our office to set an appointment to meet with you and your child. The Study Skills Program helps students in grades 4-8 with the following strategies: understanding textbooks, taking notes in class, effective study time and habits, reading and taking notes, understanding graphic aids, memory of important information, preparing for and taking tests, solving math word problems, using the library, using the Internet, using reference sources, and writing research papers. With a mastery of study skills students are equipped to tackle every school assignment with confidence. Foreign Languages -Graham Consulting Group offers tutors fluent in many different languages - Spanish, German, French, Italian, Japanese and even Latin - who can also teach at any level, from beginner to advanced. Our tutors are also available for translating and interpreting services as well as special programs like Foreign Language in the work place and foreign language classes for groups of children. English as a Second Language (ESL). Graham Consulting Group can provide tutoring in English as a second language (ESL). Speech Therapy -Graham Consulting Group speech therapists can offer relief and assistance for a wide variety of auditory troubles, including stuttering, articulation difficulties such as mumbling, receptive and expressive language problems. With the help of our speech therapist, these clients can make significant scholastic improvements. Furthermore, Graham Consulting Group speech therapists can also accommodate adults seeking help with accent reduction; and early intervention for students who have delayed speech development. Music - At Graham Consulting Group music instructors provide children and adults of all skill levels (beginner through advanced) private, personalized instruction, right in the comfort of their own home. Our music tutors are experienced instructors that inspire students through patient instruction. Currently we offer almost all musical instruments including vocal, piano, wind, string, and percussion instruments. Graham Consulting Group can also provide dynamic voice lessons. Home Schooling - Graham Consulting Group tutors can provide home schooled children with full time, supplemental or specialized subject area tutoring and assessment testing. Our tutors are skilled in a number of research-based educational methods and we will work to match the right tutor with each client based on the individualized assessment provided by our staff. Standardized Test Prep - Graham Consulting Group provided tutorials for a wide range of standardized assessment tests including state grade-level assessments, high school equivalency exams, college and graduate school entrance examinations, and specialty tests. 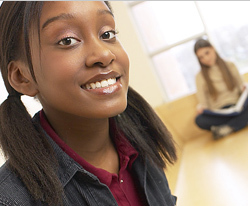 Our one-on-one study programs have helped students significantly increase their scores. In addition to teaching our clients the how to work out various problems on their specific standardized test, our instructors will also teach each client time management skills, test-taking tips and strategies. Furthermore, Graham Consulting Group will provide practice testing, diagnose and focus on areas of strength and weakness. We all know that SAT, ACT, and PSAT scores are vital for college admissions. Our personalized tutoring offers your child the best opportunity to reach his or her potential. Our programs include personalized tutoring, multiple course options, full length practice tests, flexible scheduling, and one of the industry's most advanced online resources. With the changing testing environment and all of the pressure on kids to score well, students are more anxious than ever. That's why we focus on your child's specific needs. Unfortunately, many children never truly learn how to study. As a result, they often develop bad habits that stay with them for years and years. Through encouragement, motivation and discipline, our expert tutors will teach your child to make a habit of good study skills. Chances are, your student will realize that their capabilities are far greater than they once thought. PSAT (Preliminary Scholastic Assessment Test). The PSAT is designed to help students practice for the SAT and is used to determine the test-taker's eligibility for scholarships awarded by the National Merit Scholarship Corporation. This test is also known as the National Merit Scholarship Qualifying Test (NMSQT). SAT (Scholastic Assessment Test). The SAT predicts how students will perform academically as college freshmen, and as a single, standardized means of comparison, helps college admissions officers make acceptance decisions. The SAT has seven sections - three math sections covering arithmetic, algebra, geometry, and a miscellaneous category that includes probability, data interpretation, counting, and logical analysis; three verbal sections covering analogies, sentence completions, and critical reading; plus a "wild card" section of either math or verbal that doesn't count. ACT (American College Testing). The ACT also predicts a student's success in college by measuring academic abilities in college prep programs. It is used as an admissions tool and awarding of scholarships and loans. It has four content areas - English, Math, Reading and Science Reasoning. This shorter program will prepare students for the PSAT. Our tutors use a diagnostic exam to find weaknesses, test taking strategies and a binder with class materials will be included. An intensive, small group experience covering: math and verbal/English portions of both the SAT and ACT; test-taking skills; anxiety reduction techniques; critical reasoning skills; "short cuts"; and timely college information. The class is a total of 12-15 hours. The GRE (Graduate Record Exam) is a standardized test used to measure verbal, mathematical, and analytical reasoning. It is a requirement for admission to many graduate programs. Class content includes coverage of the math and verbal sections, test-taking strategies, test anxiety reduction, diagnostic and practice tests. Math content covered includes a review of problem-solving, algebra, and geometry.The verbal section includes coverage of reading comprehension, vocabulary and analogies. We will also review the analytical reasoning section with you if it is required by your graduate program. Other topics include short-cut techniques, guessing strategies, and motivational tips. The course is between 12-15 hours in length. The Graduate Management Admission Test® (GMAT) is a standardized test used to measure verbal, problem solving, data analysis, and critical reasoning abilities. It is a requirement for admission to many graduate business programs. Class instruction includes coverage of all content areas of the GMAT, in addition to test-taking techniques, test anxiety reduction, critical reasoning skills, and computer strategies. Diagnostic and practice tests are given to pinpoint student weaknesses and to build needed skills. Additional topics include short-cut techniques, guessing strategies, and motivational tips. The course is between 12-15 hours. Social etiquette -Graham Consulting Group will provide comprehensive, in-home seminars which incorporates social etiquette, business protocol training and career development for teens. Theses activities are designed to enhance and develop social skills and the professional development of each participant. Areas covered include: Image building, poise and posture, appropriate conversation, fashion and dressing for respect, and hygiene and grooming. Career Services-At Graham Consulting Group we offer a wide variety of career services including-resume building, proper interviewing techniques, conflict resolution and our dress for success program-which introduces correct interviewing attire and personal grooming. Motion Picture Set tutorials-As the demands of our clients change, so does our tutoring approach. At Graham Consulting group we can provide tutors for one-on-one tutoring in any state at any time. We have previously provided tutorials for Sony Urban Music recoding Bow Wow as he works on various motion picture sets.